The roof is one of the most important structural elements of your home and it is important to keep it in good condition. The safety of your family and the value of your house are both at risk if your roof fails. As a result, there is a class of businesses known as roofing service companies that will service your roof from installation all the way through its lifetime. A roofing service cam do inspections of your roof to determine if repairs are needs, if you need a new roof, what kind of roof would be best for your home, whether you can save some money on energy costs by improving your roof, and for selling or purchasing purposes. If your roof does need repairs or replacement, the roofing services can help with that as well. In addition, they will do periodic maintenance like waterproofing or clearing of debris. They also offer some other services along the way that are associated with the outside of your house like gutter services and siding maintenance. If you have decided to get a new roof or if you are in the process of building a home, then you will want to hire a roofing service company to help you with this process. First, they can determine what type of roof will work best for your home. Factors like the climate, the pitch of the roof, and the framing and structure of the house all play a part in the decision making process. You need the help of a roofing installation service to tell you what kind of roof will work best. The most popular roofing material is asphalt shingles. 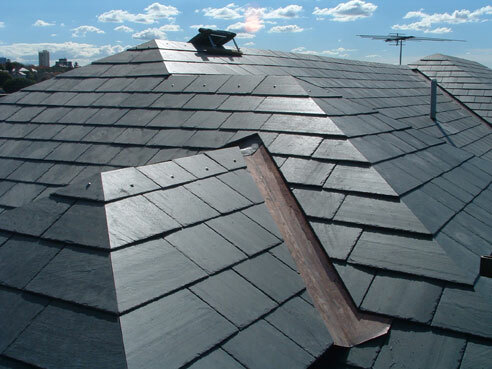 Asphalt roofing shingles are made of bitumen combined in a fiberglass mat. The bitumen fiberglass combination is usually covered with a ceramic grit. The grit can have various color schemes so that the roof will appear a certain color. This material is probably the most popular because it is less expensive that most other alternatives. In addition, it is lightweight and easy to work with compared to slate or ceramic tiles. The lifetime of an asphalt roof can vary anywhere from twenty to fifty years depending on the climate the roof is exposed to. Sunlight and heat tend to degrade the shingles faster so roofs last longer in cloudy and cool environments. Slate roofs are another roofing option if you are willing to spend more money. Slate roofs have a much longer life expectancy than shingle roofs. For example, slate roofing materials have been known to last anywhere from fifty to two hundred years with proper maintenance and upkeep. Usually you will want a roofing service to do an inspection at least one per year to look for broken or missing slate tiles. The large variation depends on the thickness of the slate and the exact type of slate. Some varieties of slate will degrade faster than others. Of course, installing a slate roof is a larger challenge for the roofing service because they need to make sure the structure is rated for the weight of such a heavy roof. Usually a frame is built to support to roof material. One big advantage of slate roofs is that they are fire proof. Slate will not burn the way shingles will and a slate roof could help save your home from being engulfed in a fire that starts at a neighboring house. In addition to slate tiles, there are also ceramic tile roofs to consider. Ceramic tiles are also expensive, like slate. But they break much more easily than slate and they do not last quite as long. 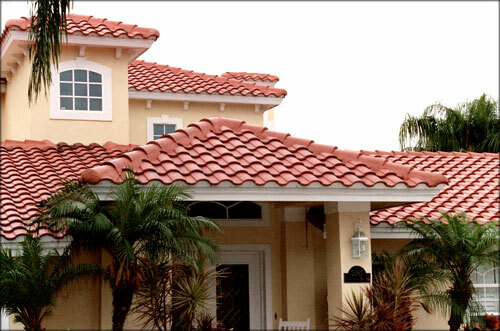 The main advantage to ceramic tile roofing is that it is aesthetically pleasing. A roofing company will say that ceramic tile roofs last anywhere from twenty to one hundred years. 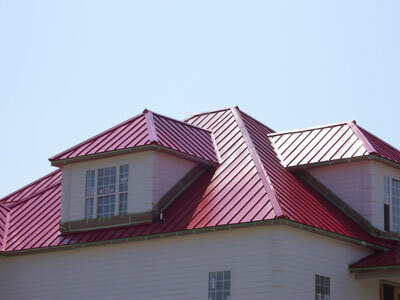 An additional roof option is a metal roof. Metal roofing systems are not quite as expensive as slate roofs, but they are more expensive than asphalt shingles. However, there are several advantages to consider. Most roofing companies that sell metal roofing systems sight the energy savings and safety features. A good metal roofing system will be coated in a heat reflective coating so that sunlight is reflected back off the roof rather than being absorbed by the house. This means your cooling costs will go down significantly. In addition, metal roofs are rated to withstand high winds, heavy hail, and all kinds of elemental extremes. Since they are made of aluminum, they will not rust and they are durable. In addition, metal roofing is not flammable so they help stop the spread of fires. No matter what kind of roofing system you choose to install, roofing services should be able to help you. Make sure that as part of the roofing installation process you purchase a warranty. A warranty can save you thousands of dollars in repairs later on in the roof’s lifetime. Roofing service companies offer the warranty through the roof manufacturer and sometimes, additional warranties if you sign up for a maintenance plan for your roof. Sometimes you may have roof problems that have simpler solutions than replacing the entire roof. 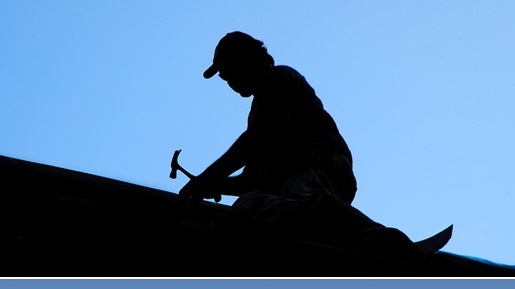 You can also call on a roofing service to handle repairs and maintenance issues. Some signs that your roof might need some attention are curling shingles, leaks in your roof, or granules in your gutter. If you notice any of these problems while cleaning gutters, changing the batteries on your solar lights, or cleaning windows and siding then you need to call a roof repair service. The roofing service will inspect your roof and decide what, if any pairs are needed. If you have a severe leak that needs immediate attention, some roofing services offer twenty four hour emergency response for those kinds of situations. However, many roofing problems can be avoided if you take good care of your roof and head off potential problems early. That is why a roof maintenance plan is important. Many warranties are not even valid if you do not get regular inspections and can prove regular roof maintenance. A good roofing service will have a variety of maintenance plans to choose from depending on the climate in your area and how much attention they think your roof will need. But keeping the warranty active should not be the only reason you hire a roofing service for maintenance. The lifetime of your roof will be greatly increased if someone takes the time each year to clear away debris and repair any small tears or out of place shingles. It is a good idea to outsource roofing jobs like this because the roofing company will have the training to minimize the chance of injury or accident. Furthermore, they will have workers compensation insurance to cover any possible mishaps. Many roofing jobs begin and end with an inspection. A roofing professional can do a survey or inspection of your roof and determine any number of things. Sometimes homeowners ask a roofing company for an energy survey to determine if there are any roof repairs or changes in the roof that could help save them money on heating and cooling. In addition, they might consult a roofing company on the installation of solar light panels or roof top gardens. In these cases, the roofing company must determine if the roof can withstand the stress of holding these kinds of installations. Other homeowner or prospective homeowners might ask a roofing company to do an inspection of a roof on a home for sale. The seller might be looking to show that they recently completed work on the roof or document a warranty. A buyer might want to check to make sure there have been no undisclosed problems with the house. In addition, a roofing service will be able to tell you how much life your roof still has in it. Knowing the life expectancy of your roof will allow you to plan for repair or replacement costs. Some roofing companies will even go as far as to help budget out your roof expenses for you. When the roofing service company completes a roof inspection, they will provide you with a written report of their findings. In addition to roof installation, roof maintenance, and roof inspections, roofing services often offer a wide range of other services to the homeowner. For example, some roofing service companies will offer siding cleaning, window cleaning, or gutter cleaning. Since they have to climb up ladders to reach the roof anyway, they might as well do some additional work while they are up there. In addition, they might use the same equipment to clean siding or gutters that they use to clean your roof so the capital investment is nonexistent for a roofing service company. They can get extra revenue without any additional investment. It is also a win for the homeowner because it is convenient to combine all of these outdoor chores into one roofing job so that you do not have to gather your work gloves, garden hose, and other tools to climb a ladder and do the work yourself. In addition, if you hire someone else, you can be sure that everything will be done every year. Making one phone call to schedule with the roofing service is easier than calling three or four different businesses. Furthermore, you are not likely to forget your annual gutter cleaning because sagging gutters are visible to you every day. If you use the roofing service to clean your gutters, that will ensure that your roofing maintenance and repairs are done as well, even though you may not think about it as much. When you are looking for a roofing service to hire, there are a few things that you should look for in order to make sure you get the best possible roofing service for your money. First, you want to make sure that the roofing company is bonded and can show proof of workers compensation and liability insurance. If the employees of a roofing company are not insured and they get injured on your property, you could be liable for their injuries. Make sure that the roofing service shows you a copy of their insurance certificate. Another good idea when hiring a roofing service is to check references. A reputable company will be happy to share references with you and you should take the time to call them. However, make sure that you ask questions that will elicit an honest response and not a practiced answer. For example, ask what the customer would have improved about their experience with the roofing service in order to encourage honesty. No home improvement project goes perfectly and how the roofing service handles problems is as important to know as how good the result was. If possible, take a drive around your neighborhood, look for other homes getting roof work done, and ask those neighbors if they are happy with the results they are getting. As discussed above, most roof service companies offer a wide variety of services and you should look at the menu before you decide on a roofing company. You want a roof service that not only does new roof installations, but also roof maintenance, roof repair, roof inspections, and possibly other outdoor maintenance activities like power washing your siding or gutter cleaning. It is easier to shop at one location than use several different services, so the more services offered by a company, the better. However, there is something to be said for specialization. If a company has chosen to specialize in roof services only, that should not exclude them from your list of possible roof service hires.